Rumours have been swirling about SoundCloud’s demise for years. The sound-sharing website has been haunted by news of huge annual losses as far back as 2014 and 2015. Their own financial auditor warned that they may run out of cash and collapse. In August, 2016, SoundCloud removed their much-loved “groups” feature from the site, leaving specialized communities of sound fans in the cold. The situation hasn’t improved. A recent article reported that the company laid off 40 percent of its staff and has 50 days of funding remaining. SoundCloud disputes the cloud of doom that seems to be hovering over the website. Last year, SoundCloud launched “Go,” a subscription service similar to Apple Music and Spotify. The company claims the paid plans will rejuvenate their bank accounts. Despite this, sound effect sharing fans have watched the streaming service with an uneasy eye. SoundCloud has long been a favourite of the field recording and independent sound library communities. It’s the preferred method of sharing sound clips with other sound fx fans and sound library customers. Now, there’s no guarantee that SoundCloud will fold. However, there’s no harm in being prepared. With that in mind, today’s post offers a list of alternative sound-sharing websites. There are dozens of sound-streaming services. Most of them grew to fill the needs of independent musicians and grass-roots podcasters. However, field recordists, sound designers, and independent sound library publishers have requirements for sharing sound fx that are distinct from DJs and indie bands and so on. So, today’s post will examine services from that specific perspective. Note: are you musician or podcaster that’s wandered here by mistake? I’ll include a brief list of options for you at the end of this post. An ability to embed an audio player or a “widget” on another website. This allows them to share recordings on Web shops, blogs, and on forums. Flexible pricing plans: a free tier and paid tiers with more features. Not every sound effects fan is an employed professional. Sharing field recordings and designed sounds with peers is a great way for beginners to grow their craft. Often these people don’t have budgets for paid plans, but may grow into them later. Storage. A healthy amount of storage in uncompressed file formats. Playlists. A way to gather similar sounds together and display them all at once in sets, like tracks in an album. This is helpful to show variations in multi-microphone field recording sessions, or a variety of tracks available in a sound library bundle. A waveform display to visually depict the sound. Groups. 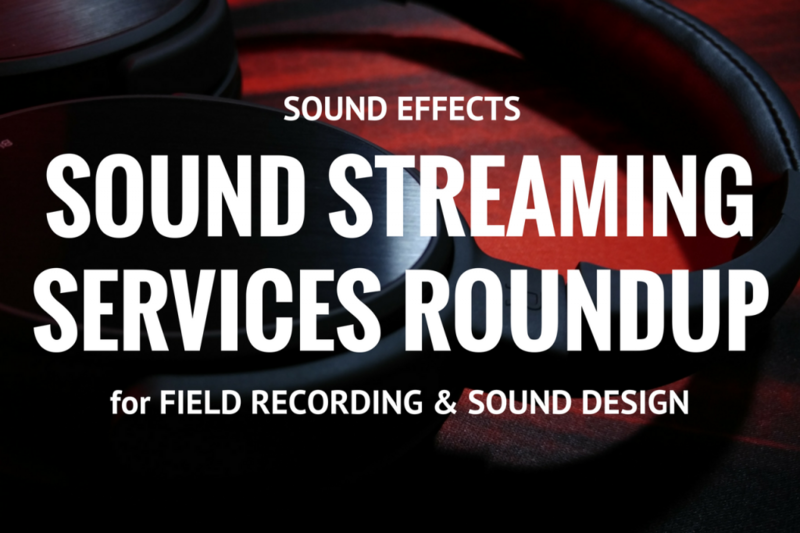 A way for like-minded sound pros to share genres of sound fx and field recordings within the streaming service. Sharing. Built-in options for linking audio pages to social media or websites. Downloads. The option to download copies. Streaming Quality. An option to share uncompressed audio to allow listeners to hear full fidelity field recordings. Statistics. An ability to see how the sounds are performing in the community. API. A way to access the streaming service and audio within apps or on other websites. This allows customizing sound playback on Web shops, and so on. View the chart in Google Docs. We may as well start with the biggest of them all, SoundCloud. While the site began as a general sound sharing service, it gradually shifted to focus on music, and evolved into a Spotify clone. It’s quite feature rich, even with its basic, free plan: playlists, waveforms, sharing, free downloads, and more (although groups were removed in 2016). The free plan allows 180 minutes of uploads. Upgrading to the Pro plan ($7/month) doubles that time, and Pro Unlimited ($15/month) allows unlimited uploads with both paid plans offering more stats. The 128 kbits/s previews do tend to sound tinny and compressed with quieter field recordings. Just the same, the site is user-friendly, functional, and widely used. Those options, along with its developer API, make it a popular choice. Wallet empty? Not to worry. 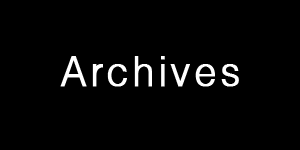 You can share sound on the free archive.org website. This is a no-frills option: the waveforms aren’t the most attractive in the business, the stats are rudimentary, and the audio quality is limited to variable-bit-rate MP3. However, if you can get past that, you can share sound on the site solo or in playlists to groups and to popular social media channels. There’s an option to offer free downloads to your fans, too. Octave’s slick design and smooth website copy lead me to believe it’s a corporate option for labels and premium musicians. That seems to be supported by their pricing plans (2 weeks free, $20/month or $200/year), and their pro features: sharing securely, and granular stats analysis. If you’re looking for a beautiful interface and Web player, Octave nears the top of choices from this list. HearThis appears poised to be the successor to SoundCloud; it mirrors their best features: playlists, waveform display, sharing, embedded player, stats, download, and developer API. What’s different? HearThis’s free plan offers unlimited MP3 uploads, and a generous 10,000 plays and 5,000 downloads per account. That’s more than enough to keep sound design newbies content for years. The Premium plan removes the limits for €4/month or an industry-leading €33/year. In addition, Premium allows lossless streaming natively on the site, and 320 kbit/s elsewhere. It also expands upload formats, stats, and design options. Other notable perks include PayPal purchase from the player widget, searchable maps of recordings, groups (I created one for field recording here), and for those interested in fleeing SoundCloud there’s the ability to import content from a SoundCloud account. I’ve been using this site for about a year. At first, it was a bit buggy. The vast majority of glitches have disappeared, thanks to a responsive developer. 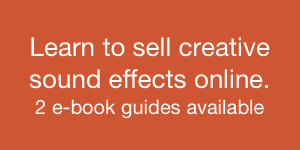 It’s now my first choice for sharing my sound effects on my Web store and here on the blog. The simple, attractive Clyp website was created to be the audio version of popular image sharing site imgur. Think of it as a way to quickly upload a sound effect and quickly share it to Facebook or Twitter. Despite the rapid-fire functionality and lack of an artist home page, Clyp has great potential for indie publishers, sound designers, and field recordists. The free account allows 6 hours of uploading with a 100 megabyte limit per file. The Plus ($6/month) and Pro ($19/month, coming soon) plans remove the restrictions, banishes the ads, and grants unlimited downloads, lossless streaming, and additional stats. One of the more visually attractive options in this list, Audiomack allows unlimited storage, sharing, and downloads with its free account. Audiomack Premium only charges for monetization through its players, everything else is free. Allows uncompressed uploads up to 250 megabytes. The streaming bitrate is 160 kbit/s and 320 kbit/s for premium plans. Those generous features make Audiomack an attractive option to embed and share unlimited sound effects. Bandcamp has long been a mainstay for independent musicians. It has features new artists need: it offers one-stop distribution of physical albums and digital downloads in a wide variety of formats, presents lyrics, offers free downloads, has merchandise links, and community building features. Some field recordists have hijacked the service for their own needs. After all, it allows uncompressed uploads up to a 290 megabyte limit. Its player lacks a waveform, but it’s functional enough while streaming at 128 kbit/s. The Pro version allows batch uploads and more stats for $10/month. ReverbNation is another service aimed at musicians. It has features comparable to BandCamp, while adding others that focus on career development, promotion, and gigs. 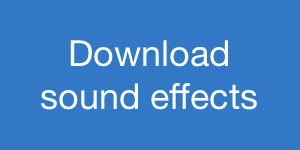 Sound effect fans would primarily adopt the platform’s perks of a widget player and unlimited uploads even at the free tier (at 8 megabytes per file). The Basic ($9.95/month) and Premium ($19.95/month) plans are essentially equivalent to field recording pros: they expand uploads to 100 megabytes, remove ads, allow lossless streaming, and remove branding from the players (Premium only). An option if you’re interested in sharing shorter or compressed files. audioBoom – I first stumbled across the audioBoom streaming service when browsing Cities and Memory’s field recordings. It turns out the service is actually aimed at podcasters, and has options to publish to podcasting platforms. That hasn’t stopped some field recordists from using the service to make playlists of sound effects that fans can download as they please. It doesn’t appear they have a free plan, and paid plans begin at $9.99 a month. Logamp – a sound-sharing service with a unique twist: it features literature, poetry, as well as music. Unlimited uploads free of charge. Minimal interface. Allows sharing and embedding. YouTube – yes, it is a video hosting site. That hasn’t stopped fans from using the site to listen to music. Visuals aren’t necessarily needed, either; many tracks simply display a static image while the audio rolls. It’s free, has unlimited uploads of 15 minutes per track, and can be embedded anywhere on the Web. 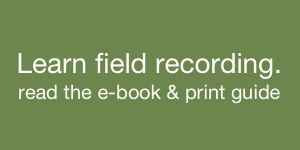 BandCamp – digital and physical distribution, Web player, stats. ReverbNation – site builder, Web player, gig finder, digital distribution, press kits, email marketing. Mixcloud – focuses on long-form streaming for DJs. Includes a Web player. Free, ad-supported plan with unlimited, compressed uploads. The Pro version is $15/month or $135/year and removes ads, expands profile design, and shares full stats. Includes a SoundCloud importer if you need to transfer your tracks. playfm – catering to DJs and club culture, playfm allows uploads beginning with a minimum 20 minute length (! ), unlimited storage, and Web players to share your mixes elsewhere on the Internet. Orfium – designed as a Apple Music-like streaming service for the independent musician, Orfium hosts and monetizes tracks uploaded from individuals. Allows unlimited uploading, playlists, events, community building, and the ability to sell and license tracks. ClearTracks – a site with a similar approach to Orfium: it allows individual song sales as well as rights management, clearances, syndication, and more. 8tracks – this website was designed to share playlists. It is possible to upload your own tracks (compressed only) and drop them into a custom playlist to share with your fans via embedding and the typical social media channels. Supports royalty collection as well. Is there a sharing service I’ve missed? Share it in the comments below.